Our product range includes a wide range of filter press and comminuting mill machine. We are one of the grand manufacturers, suppliers and exporters of Filter Press that is specifically designed and developed under the supervision of our professionals. These efficient presses are widely demanded among our customers for their efficient performance, rugged construction, longer operational life and low maintenance. 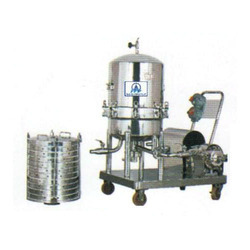 Filter presses can be availed in multiple specifications. Mobile Trolley S.S. 304 Trolley with castor wheel and handle to filter press, Centrifugal pump and Interconnecting pipe line. 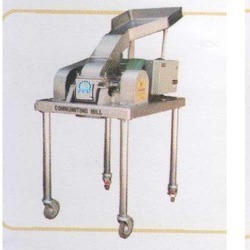 We are counted among one of the leading manufacturers, exporters and suppliers of a useful collection of Comminuting Mill Machine. These are precision engineered using raw material of utmost quality under the strict supervision of our quality inspectors to comply with the defined quality norms. Moreover, these are praised for their optimum quality and performance. Main Electrical Motor 7.5 HP/1440 RPM/3 Ph. 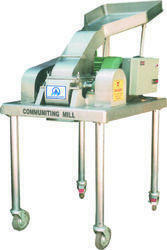 Being a client centric organization, we are engaged in offering a vast range of Comminuting Mill Machine. Offered machines are developed in compliance with the international quality standards and norms. These products are known for their hassle free performance, long service life and reasonable rates.